My best Christmas gift ever was 2017. It was an ultrasound image of my first grandchild; she was 10 weeks old inside her mother’s womb. Yes, I said 10 weeks old, since scientifically our life starts at conception. The fertilized ovum is a living being that has to nurture in the womb. That dependence continues after birth, on occasion sophisticated technology is needed for the premature babies in order to survive. I guess that is the extreme view of life in the abortion context. We are a divided nation on abortion and the rights of women to do so, and that is OK. It is a difficult subject, with extreme opinions on both sides of the equation. Basically, we have agreed to disagree; call it compromise. Patriotic Americans, regardless of political affiliation, want the truth, crystal clear. Some of us are made to believe that the president collaborated with the Russians to win the presidential election. Others feel the establishment, including leadership in the intelligence services, were conspiring to derail a legitimate election. We badly need to know if we care about our republic and what we stand for. Anything short of the truth would be contrary to the will of people. We know the truth is forthcoming; we have to be patient. As my old culture in northern Iraq says: “Sins never enter the grave.” Sins are paid for during our lives. Bill Barr, soon to be confirmed as the new U.S. attorney general, has a heavy weight on his shoulders. His task is to find and tell us, the people, the truth. Letter to the editor: Government not solution for improving health care in U.S. The voices promoting national health care service are as loud as ever, and the concept is popular, according to opinion polls. Of course every one likes the idea of not paying for health care, but someone has to pay; money doesn’t come from the ether, money comes from higher taxes. It’s simple. Money paid monthly in cash as a premium is more painful than when deducted from the paycheck. That is human psychology 101. Forget the national examples of Medicare, Medicaid and the VA systems — expensive yet inefficient. Let’s look locally. The total cost of health care incurred per capita by government employment, such as municipalities and counties, is much higher than what the private sector pays. The private sector is innovating methods of better access, yet less costly. They have better methods of curbing over-utilization. But many of the employers have adopted unique methods where patients get better unlimited access to primary care with great results. I am an immigrant, an adopted son of the United States, proud of it. I aspire that others eager to enjoy and cherish the American experience have the opportunity, but the legal way. The booming economy needs more workers, especially skilled ones. Unfortunately, those we need have to wait for years — it is a long line — while the unskilled have nothing to lose by crossing the border illegally. There is no doubt we need seasonal, unskilled workers, but we can adopt the process of temporary seasonal work visas. The should work here for the season, take the money back to their home country and come back next season. I can imagine giving frequent visitors a path to permanent resident status. Today’s guest blog comes from Nashat Gabrail, MD. He is board certified in internal medicine and oncology. 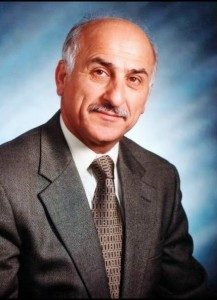 Nashat operates the Gabrail Cancer Center in Canton, Ohio, and is a board member of the Coalition for Clinical Trials Awareness. A version of this post also appeared on our Campaign for Modern Medicines blog. During medical society meetings and presentations by colleagues, I often see PowerPoint slides on recommended courses of care. The slides inevitably look the same: First line of care—therapy A, second line of care—therapy B, third line of care—therapy C. And then, at the very bottom—clinical trials. My colleagues get the joke. Some laugh. But the importance of clinical trials is no joking matter. Experimental drugs don’t have to be a last resort. After all, they are patients’ only hope for treatment that outperforms the standard of care. They are also the only way to discover and approve new drugs. MASSILLON A former physician of Affinity Medical Center expressed doubt this week that the facility would reopen as a full-service hospital. Meanwhile, the mayor said her team has not wavered from the goal of re-establishing a major medical facility here. The city has been negotiating with a handful of medical entities since May, and officials now say they’re close to bringing a proposal to City Council. No one from the mayor’s office would offer details on who the city has been talking with and what long-term services could return to the city. 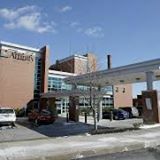 Dr. Nash Gabrail, an oncologist who previously referred patients to Affinity and had hospital privileges, said it’s more likely that the closed Affinity hospital would be sold to a drug rehabilitation center or become something far less than what it was.